McCurry Tote is a minimalistic camera bag with subtle style, customisable for professional and personal use. 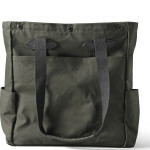 Lightweight and robust, this hardy tempered-cotton tote is built to endure the diverse challenges of the everyday. Transform the bag in seconds with the removable camera insert, holding a DSLR, lens, flash and accessories. 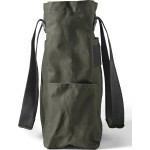 With four exterior slip pockets and an interior zipped pocket, this versatile and discreet olive green bag blends easily into its surroundings. 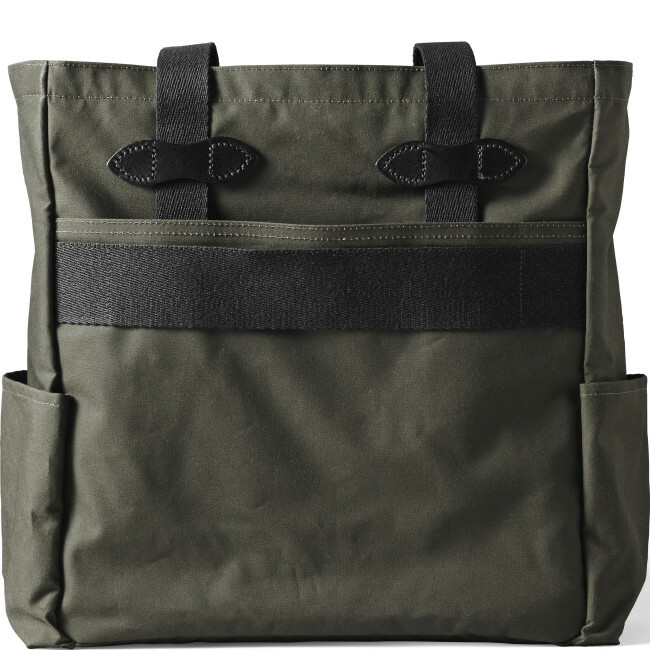 Constructed from water- and abrasion-resistant cotton, this practical tote has an attractive dark green finish to help you keep a low profile. Protect your gear in the padded interior divider with snap-closure flap; slot into the main compartment or leave at home to serve as an everyday tote. Dual side slip-pockets and deep open pouches to the front and rear provide easy access to notes, accessories and daily essentials. The snap-closure top flap doubles up as a hanging interior zipped pocket, to safely store smaller items such as money and memory cards. Perfectly sized for carry on luggage, a trolley strap to the side of the bag slots over your suitcase for travel. McCurry Tote is a lightweight and high performance camera bag, water- and abrasion-resistant for photographers who embrace the outdoors come rain or shine. 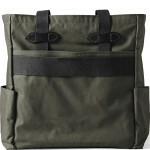 Suitable for men or women, it’s a multifunctional tote with rugged appeal. The removable camera divider with snap-closure flap tucks into the main compartment, padded to protect a DSLR with lens attached and flash. Hook your keys on the inner D ring and keep your memory cards or small personal items safe in the zipped hanging interior pocket; this also serves as a top flap with snap-closure clasps to protect the main compartment. 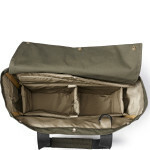 Each side of the bag has a slip-pocket, with deep pouches on the front and rear, and two smaller pockets. With a tempered cotton exterior and strong nylon lining, this lightweight bag has dual fabric shoulder straps and a trolley strap for travel, making it a reliable companion for the constantly-moving photographer. 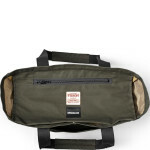 Made from tempered-finish cotton and nylon, this dark olive bag is designed to be discreet, durable and low maintenance. Water- and abrasion-resistant, this tote is built to stand the test of time, protected by a lifetime warranty for manufacturer’s defects. However, to keep your bag in good condition, wipe or brush clean to remove excess dirt; do not machine wash.
Filson camera bags are designed to offer a lifetime of wear and a sound investment for the adventure-loving breed of photographer. 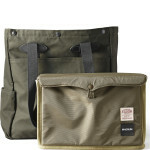 The McCurry Tote is part of The Filson + Magnum Collection, shaped by two world-renowned photographers, Steve McCurry and David Allen Harvey. This collection focuses on low profile bags with utilitarian design and quality engineering.